Danbury group Accidental Villain plays Best Video Performance Space on Wednesday, Apr. 24. The show starts at 8 PM and the cover is a sliding scale of $5-10 (pay what you can in that range). Accidental Villain was formed in 2015 by composer Barry Seroff as an outlet for songs he was writing after dealing with a bitter divorce. Joined by bassist Justin Virga of Phoenix Tree fame, acclaimed visual artist Lindsey Howard Edwards and jazz/world drummer Yoni Olieski, the band recorded their debut self titled album over the course of a day in Brooklyn. The songs ranged from the dark mundanity of life with an ex to celebrations of sexual deviance, through a compositional voice that cannot be nailed down through genre. The connecting fibers are the musicians themselves, whose distinct voices can be heard through even the most disparate of sounds. Since the release, the band has played through the Danbury area honing their energetic live show and adding new songs to the mix highlighting the healing process after tragedy and the beauty that eventually shows itself. Yoni was replaced by local drummer Jerry Louzada, whose addition gave the material a more rock flair. Accidental Villain continues to push boundaries with their distinct originals and inventive covers to audience delights everywhere. Fleurs and Shy play sets at Best Video Performance Space on Friday, Apr. 19. The show starts at 8 PM and the cover is a sliding scale of $5-10 (pay what you can in that range). Fleurs is a musical enigma. All shifty riffs and sticky words, Fleurs draws romance out of depravity, mining glitter out of gunk. Fleurs is the feeling of lighting a cigarette on a cold day, the smell of a one night stand, the sound of fine china shattering on concrete. Too smart to be rock, too hard to be pop, Fleurs’ music is a multi-headed serpent that strangles as it caresses. Expanding on the styles of his earlier release, Life of the Appetite is an impressive full length debut from the New Haven artist, filtering numerous genres all through dark romanticism and heady electronic textures. Most songs have a rhythmic quality that range from midnight graveyard stomp to industrial garage thrash. Above all, the music is truly possessed by Falconer, whose exceptionally depraved vocal performance is something to be heard. 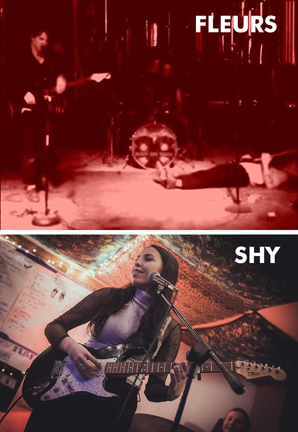 SHY is a local New Haven band, Their music is indie-rock, folk, driven by power drums and melodic singing. Shyanne is on vocals and guitar, Jon is on bass, and Quinn is on drums. Indie rock group Zoo Front plays Best Video Performance Space on Thursday, Apr. 18. 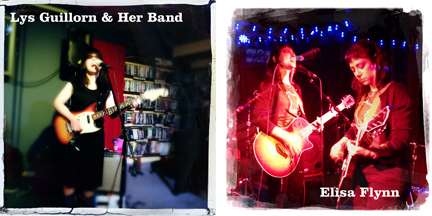 Mara & The Dead Batteries will be a special guest on some songs. The show starts at 8 PM and the cover is a sliding scale of $5-10 (pay what you can in that range). The last couple of years have been busy ones for Zoo Front. Their CD Red Stereo Dress marked the beginning of a new era for the band, with Nancie Tief making her singing and songwriting debut. Adding to the fun, they adopted a new working philosophy they call ABM – “ambient background mischief.” The idea is to add a subliminal track to each song that somehow fills out the sound in a way that defies definition. The personnel is Ed Ekendu (Guitar), Nancie Tief (Guitar), Lisa Tonner (Drums) and Ju Dee Luna (bass). Laura from Mara & The Dead Batteries will be sitting in on cello on a couple of the songs. Rock trio Jellyshirts return to Best Video Performance Space on Wednesday, Mar. 20. The show starts at 8 PM. Looking for a frame of reference for Jellyshirts’ music? Try the Velvet Underground and the Byrds. 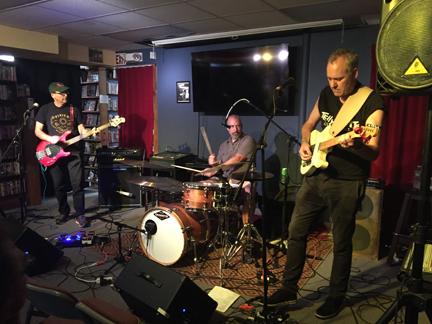 But the band–led by guitarist/vocalist Bret Logan for over 20 years, ably joined by drummer Scott McDonald and bass player Nick Appleby–has a sound determinedly their own. The short version: They’re loud and they play bars with a mystical need to reach the audience. 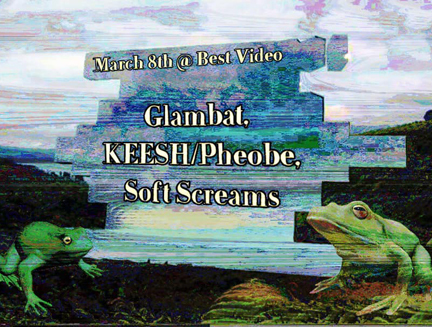 The indie rock acts Glambat, KEESH/Pheobe, and Soft Screams play Best Video Performance Space Friday, Mar. 8. The show starts at 7:30 PM and the cover is $5. Glambat is a New Haven indie-folk band lead by Emily Alderman (vocals, guitar), creating sultry tunes for your listening pleasure. Pheobe is a newly formed New Haven Punk/Indie/Noise five-piece band. Their goal is to bring the ruckus with as many different styles as possible, and continuously create new ideas and performances. Influences would be: WEEN, Pavement, the Grateful Dead, Grizzly Bear, Black Sabbath—anything between “dark” and “hilarious.” The group is Peter Omalyev (guitar/vocals), Vic Pocz (bass/vocals), Laurie Abreu (synth), Derek Begley (lead guitar) and Reena Yu (drums). Soft Screams is a power pop band from Connecticut. Their album Art Therapy was released in September and is reminiscent of artists such as Teenage Fanclub, Green Day, and Wavves. The band is currently playing as many live shows as possible and recording their next full-length album. Christian Marrone brings his trio to Best Video Performance Space on Thursday, Mar. 7, for a show with Ghostwoods. 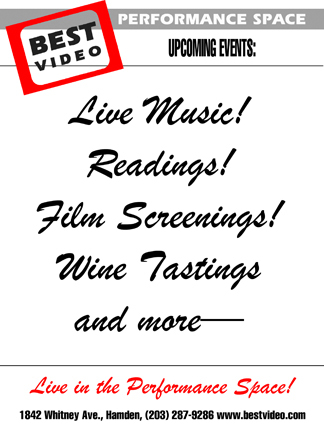 The music starts at 8 PM and the cover is a sliding scale of $5-10 (pay what you want in that range). 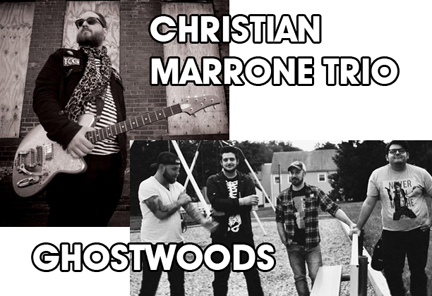 Originally from the New Haven, Connecticut area solo artist Christian Marrone fuses social commentary in the tradition of Woody Guthrie and Bob Dylan with the riffs and melodic hooks of The Ramones and The Replacements, to deliver urgent and anthemic message music. His forthcoming full length album “Don’t Sell Me Your Hate” (out in early April), is an 11-song adventure through his roots of Rock, Folk, Punk, and even Alt-Country. His lyrics shine for being honest and heartfelt, while carrying tongue in cheek humor and a healthy dose of snottiness; the emphasis always being on the message and the story. From starting his first band at 12 years old and performing at the legendary Toad’s Place the same year, Christian has since fronted many original bands throughout his teenage years and twenties. In that time he’s shared the stage with international acts such as Murphy’s Law, nineties alt-rockers Local H, as well as members of Morphine, WEEN and Sound of Urchin. Playing first throughout southern Connecticut, he has since moved on to perform at the venues of New York’s East Village, as well as making festival appearances in the Catskills and the greater Boston area. Now performing with a solid back-up band and solo acoustic, in his recent years he’s opened for punk rock legends Grant Hart (Husker Du), Jonny Two-Bags (Social Distortion), Tim Barry (AVAIL), Jesse Malin, as well as current folk/punk greats Dave Hause, Cory Branan, Two Cow Garage, Micah Schnabel, and Hamell on Trial. Keep an eye out for a music video for the title track of his album “Don’t Sell Me Your Hate” and 2019 tour dates. Ghostwoods is a new project, from members of Breakthrough Frequencies, The Lively, and Yuppy Flu. Shows and music coming in 2019. 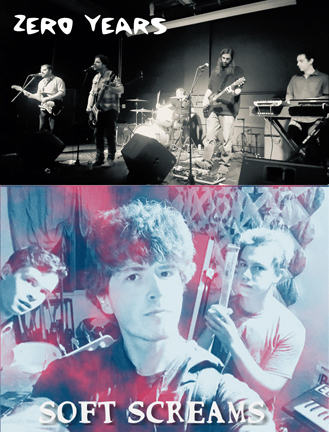 Ghostwoods is an indie rock band from CT with influences all over the map. Their first single “New Leaves” will be out in early 2019 with a debut album to follow. 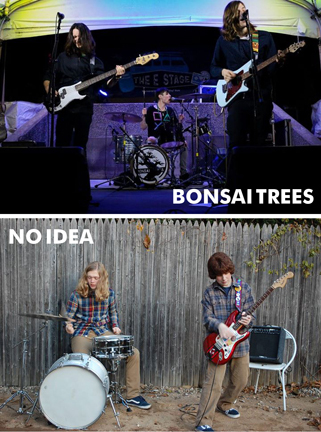 Indie rock groups Bonsai Trees and No Idea play Best Video Performance Space Thursday, Dec. 27. The show starts at 7:30 PM and the cover is $5. 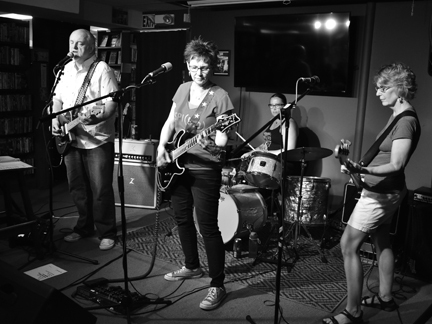 Bonsai Trees is a Hartford CT band founded in 2011 often categorized as indie rock with emo influence, Bonsai Trees puts on performances with biting high energy and puts out songs with catchy riffs, melodies, and drum beats. In October 2017 they released their second LP “Not Bitter” independently to critical acclaim. No Idea was formed in late 2016 in Central CT. The band built a fan base by performing at local farmer’s markets and private parties along with filming covers of full Nirvana and other albums for YouTube. After having success with the covers, the band began writing original material. Their first recording was a cover of “I Saw Her Standing There” by The Beatles. Two EPs, entitled “Your Peril” and “Fungus” followed in late 2017. The band has played at all-age venues and public events all over Connecticut and is currently working on recording their debut LP. Indie rock groups Zero Years and Soft Screams play Best Video Performance Space Thursday, Dec. 20. The show starts at 8 PM and the cover is a sliding scale 0f $5-10 (pay what you can in that range). Zero Years plays esoteric pop from the fifth floor of an old ammunition factory (and the basement of your heart). Catchy songs, lo-fi aesthetic and some real dreamy boys. What more could you want. The band is Jeff (guitar, vocals), Jed (bass, vocals), Jim (guitar), Aaron (organ, synth) and Jay (drums). Lys Guillorn & Her Band plays Best Video Performance Space Friday, Nov. 2. Elisa Flynn opens. The show starts at 8 PM and the cover is $5. Lys Guillorn is a singer/songwriter and multi-instrumentalist based in Shelton, Connecticut. She is of the same musical school as Laura Veirs, and Kristin Hersh, with a little Emmylou Harris thrown in: dreamy, lyric-driven, melodically interesting, and undefinable. She calls her genre of music “Avant-Twang.” Live sound is solo on electric or acoustic guitar, focusing on lyrics and intricate guitar work, or with full band, adding a little more crunch. 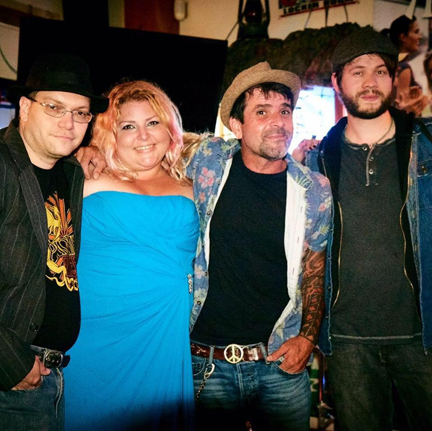 Band members: Lys Guillorn (vocals, guitar), Peter Riccio (drums, vocals), Eric Bloomquist (bass, vocals), Julie Beman (keyboards, vocals). Guillorn has opened for artists including: Laura Cantrell, Amy Rigby, Scout Niblett, The Handsome Family, and Nora O’Connor. Guillorn’s eponymous debut CD was released in 2003, receiving international radio airplay and notice in indie press. The CD was produced and engineered by Jeff Feuerzeig, who enlisted guests Stanley Demeski (Luna, Feelies), Brenda Sauter (Feelies), Dean Wareham (Luna, Galaxie 500), Robert Quine (Voidoids, Lou Reed, Tom Waits) and Glenn Mercer (Feelies, Wake Ooloo). Winged Victory was Lys Guillorn’s first full-length studio record in ten years. It was recorded at Dirt Floor Studio in Chester, Connecticut with her bandmates and some special guests and released in November of 2013 on Guillorn’s own Little Cowgirl Records. Sunny Side Down was released in January of 2016, a 2-song single recorded with drummer Peter Riccio and bass player Eric Bloomquist at Bridgeport’s Gold Coast Recorders in the fall of 2015 and released in January 2016. This effort is described by Guillorn as “Nancy Sinatra on a grunge bender.” I’m a Boy EP is Lys Guillorn & Her Band’s latest. It picks up where Sunny Side Down left off—garage rock with a live feel recorded at Cheshire’s Bonehead Studios. This is the first recording documenting the four-piece as a band. “All who played on the album: Me and me alone,” Elisa Flynn says about her latest album The World Has Ever Been on Fire. “All are real instruments except for the drums, which are programmed loops.” Her dark indie pop is music made by a strong woman, with plenty to say, and a dazzling array of ways to express her vision. In the mode of idiosyncratic self-made music-perfectionists like John Vanderslice, Aimee Mann, and Lisa Germano, her voice and sounds are made for fanatic underground music lovers. Raised playing piano in Yonkers, NY, her life was changed by the visceral pop thrills of The Clash. She started getting her music out as a fated punk rock guitarist and noise-maven in experimental bands in NYC and Connecticut. The World Has Ever Been on Fire shows her applying those dynamic avant energies throughout its ten rock, dance, and folk songs that can’t be tagged by a single genre. It’s this singular vision of apocalypse pop, played like a specter of the future through a mix of melodies and instrumentation from many different eras, that helps make it so intimately, strangely seductive. These are new murder ballads and love songs that sound both bracing and ancient, contemporary and urgent. 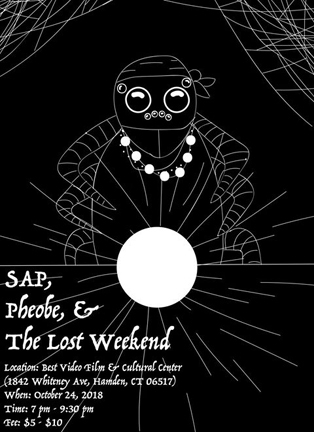 The bands Pheobe, SAP and The Lost Weekend play Best Video Performance Space on Wednesday, Oct. 24. The show starts at 7 PM and the cover is a sliding scale $5-10—pay what you can in that range. Pheobe is a newly formed New Haven Punk/Indie/Noise 5 piece band. Their goal is to bring the ruckus with as many different styles as possible, and continuously create new ideas and performances. Influences would be: WEEN, Pavement, the Grateful Dead, Grizzly Bear, Black Sabbath—anything between “dark” and “hilarious.” The group is Peter Omalyev (guitar/vocals), Vic Pocz(bass/vocals), Laurie Abreu (synth), Derek Begley (lead guitar) and Reena Yu (drums). SAP specializes in break up songs. Get hyped with some poppy synth while remaining true to your sad kid roots.